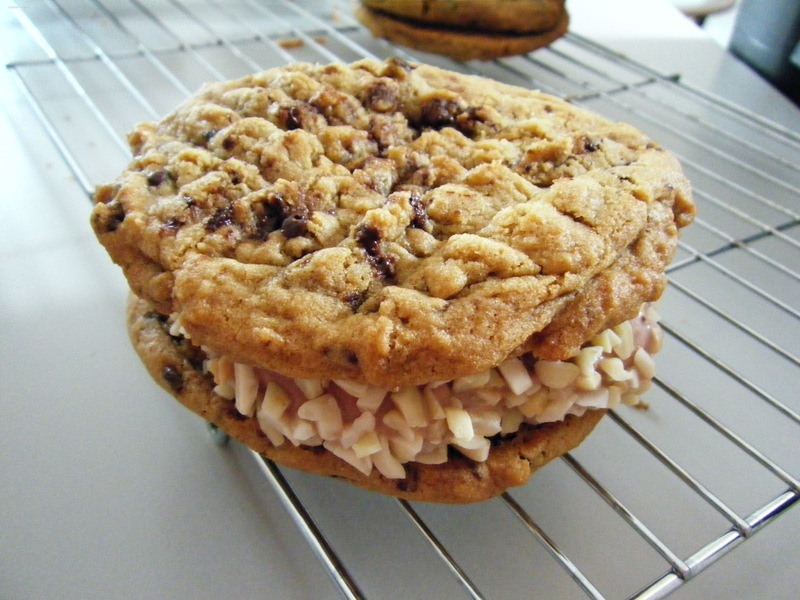 These ice cream cookie sandwiches were inspired by all the hot weather we've been having. 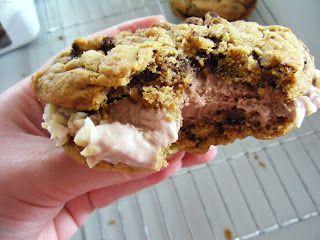 I was part way through mixing a batch of chewy gooey cookies when I started thinking that it really wasn't baking weather, what I needed was a cold treat like ice cream. 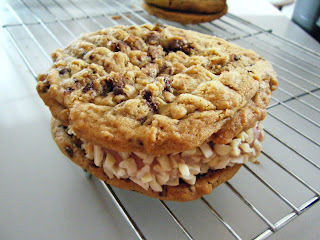 I've seen countless ice cream sandwiches online but I've never tried one, well that's all changed now. 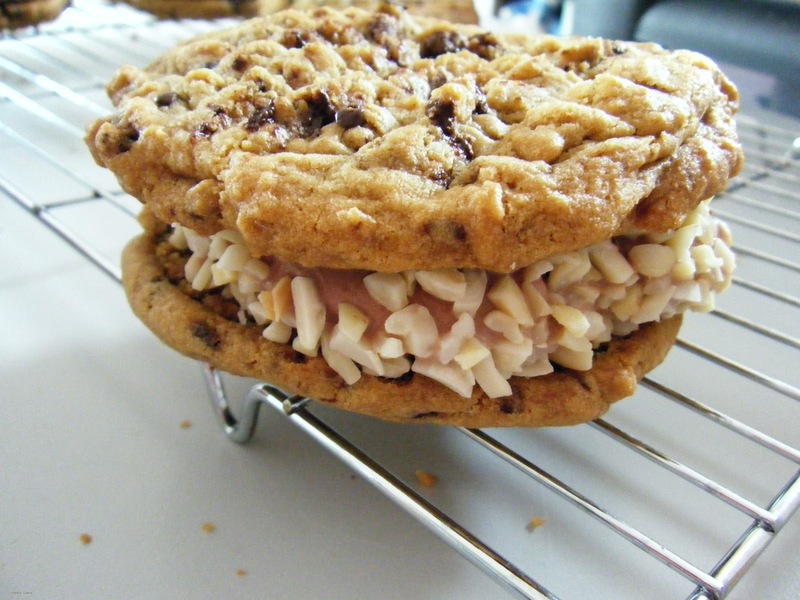 The chocolate ice cream is sandwiched between two cookies and rolled in chopped almonds. I used my chewy gooey cookie recipe and added hazelnut syrup instead of vanilla which seems to compliment the chocolate ice cream. I made the cookies bigger than usual, the recipe made just 9 cookies (4 sandwiches and a cookie for the chef). I got a bit carried away with the size these ice cream sandwiches were probably too big (not that anyone complained) next time I'll go for more bite size cookies. After leaving the cookies to cool spread a scoop of chocolate ice cream across the bottom of one cookie and place another cookie on the top. 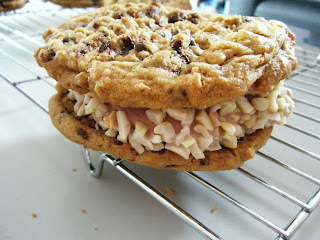 The ice cream will be a little melty from being out of the freezer, quickly roll it in the almonds them pop the sandwich in the freezer to firm up.